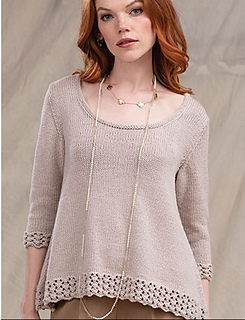 Textured bubble lace at the hem and sleeve cuffs gives Lyon’s stockinette swing top just the right amount of embellishment. 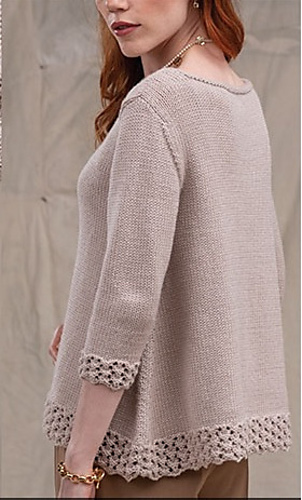 HiKoo/Skacel Collection’s Sueno Worsted complements the top’s A-line silhouette, three-quarter set-in sleeves and deep round neck. Stitches are picked up around the neck and worked in reverse stockinette for a clean, smooth edge.